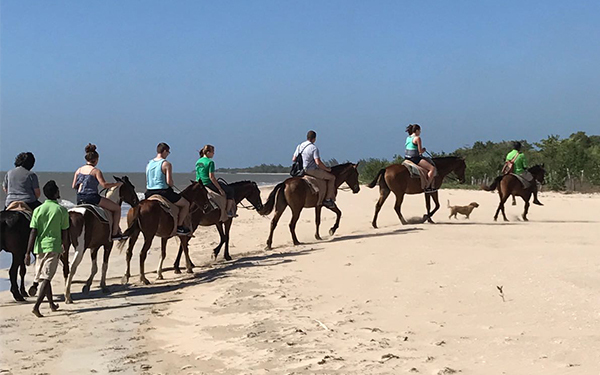 We’ll take all the photos (no charge) so you can look, relax and enjoy your horseback tour on our beach. As a Member of the British Horse Society (BHS) we take great pride in all our horses. They are monitored regularly. 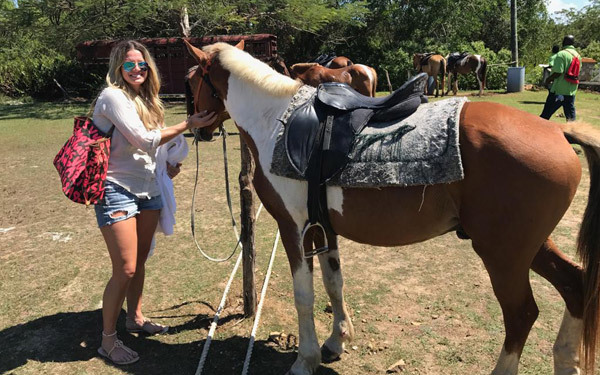 We have 200+ reviews, the 2015-2018 certificate of excellence & rated the best horseback experience in Negril. 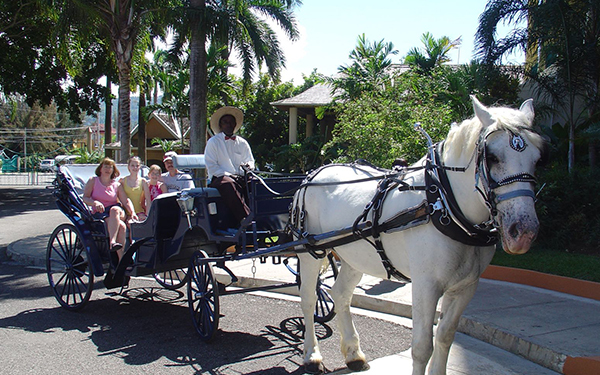 Ride our gentle horses on our beautiful private 900 acre eco friendly & nature-lovers paradise. 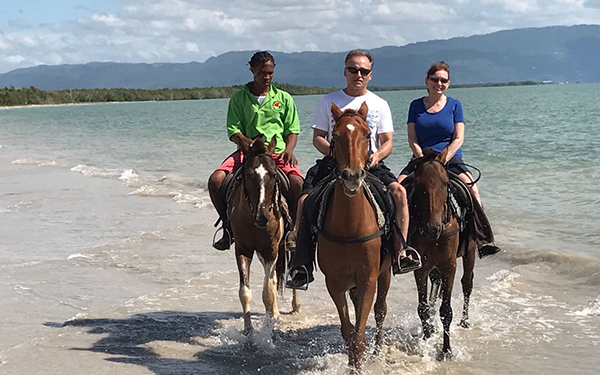 This awesome two hour memorable & scenic nature trail ride, ends on a private one mile beach overlooking the most picturesque mountainside located above our famous Sandals South-Coast Spa Hotel. 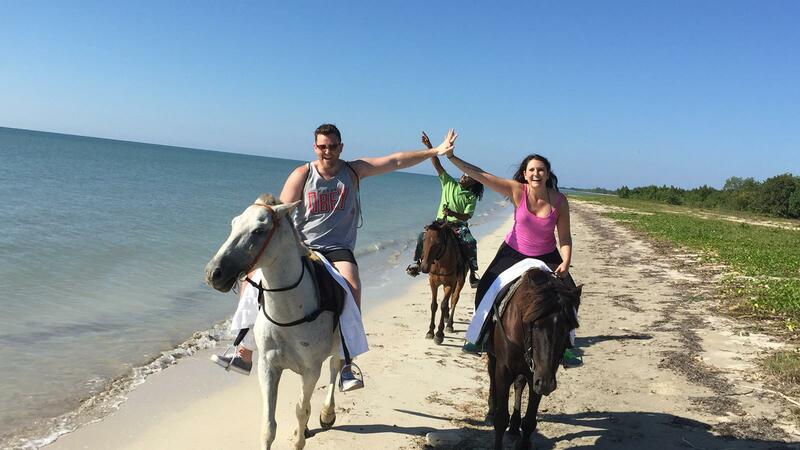 Combo horseback tours continues to YS Falls, Pelican Bar, Appleton Rum Factory, Ricks Cafe and Bob Marley Nine Mile. All available upon request. 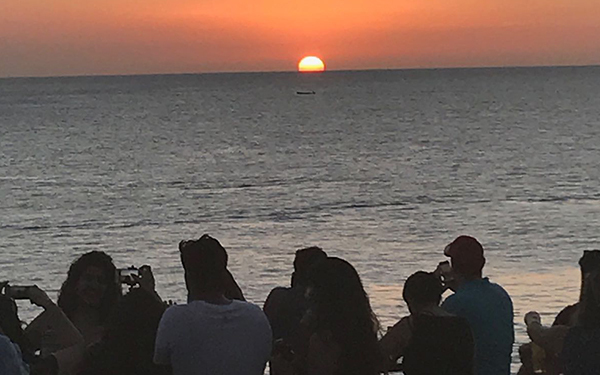 Our Negril Sunset is one of the highlights of Reggae Horseback and Rick’s Cafe Sunset Combo Tour. 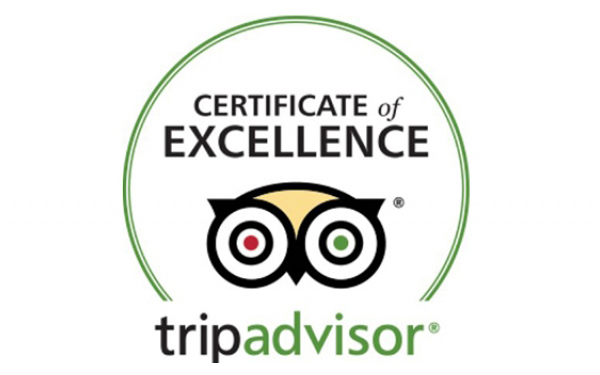 If you’re looking for something a bit more special, we offer a 4:20 private ride!